7. 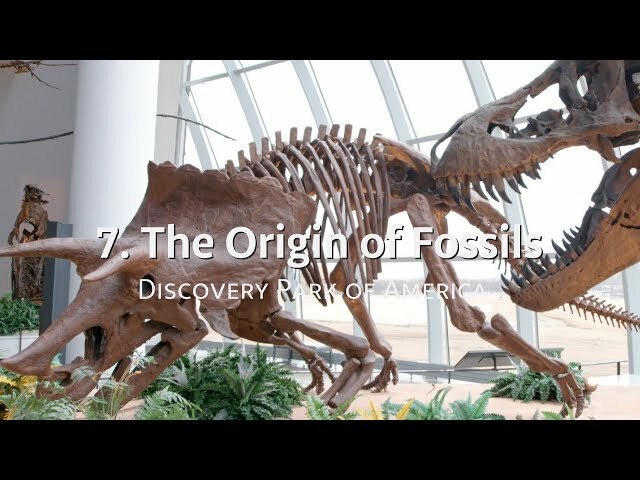 The Origin of Fossils - Is Genesis History? There are billions of fossils in the earth. Most are from animals that lived in the Ante-Diluvian epoch before the Flood, but some are from the Post-Flood epoch when the world was recovering from the global catastrophe. During the Flood, as huge tidal waves pulsed back and forth over the existing continents, different types of sediment and ecosystems were picked up, carried, then deposited in massive layers on top of each other. The presence of marine fossils on the continents, the sudden appearance of complex fossils in the lowest Cambrian layers, the widespread extent of fossilization, and the pattern of trackways (footprints) below body fossils, all point to the record in Genesis where God said He was going to wipe out a violent earth with a global flood. Dr. Marcus Ross’s videos and articles.